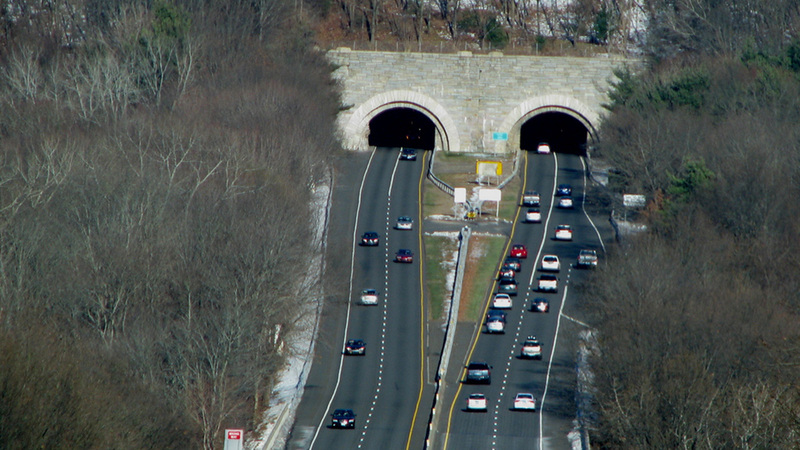 Known as the “Gateway to New England,” this 37-mile-long parkway in Fairfield County was the first in the United States to be built for the sole purpose of assuaging traffic congestion. 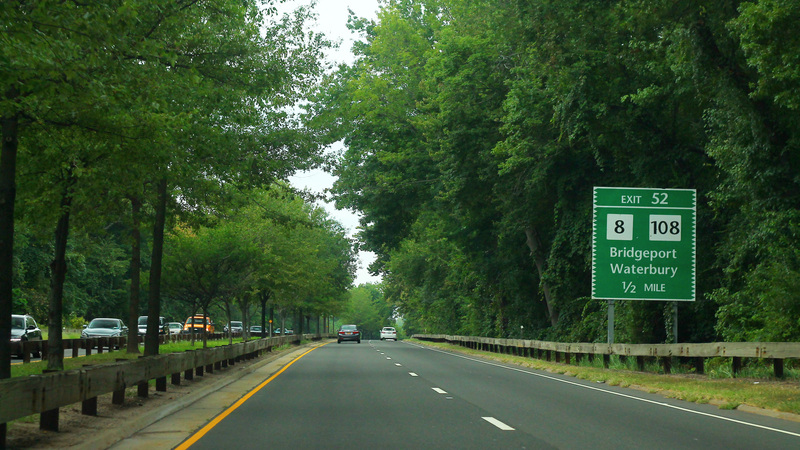 Spanning the distance between Greenwich and the Housatonic River in Stratford, it was conceived by the Connecticut State Highway Department as a scenic, limited-access alternative to the Boston Post Road (U.S. Route 1). 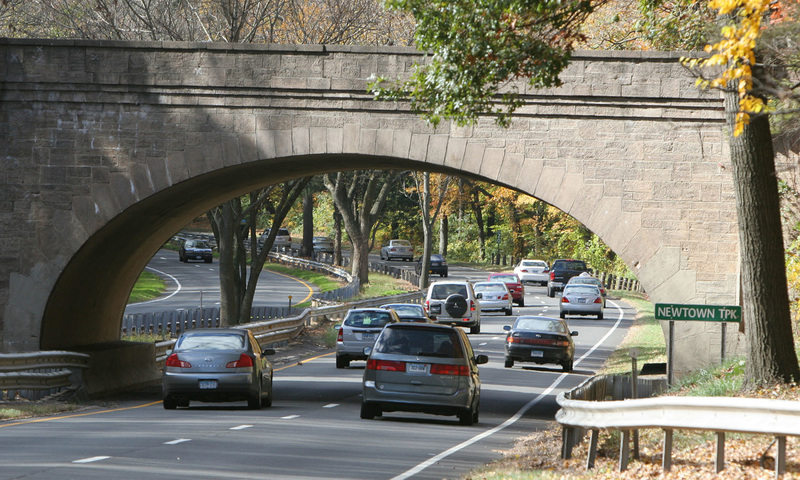 Designed by landscape architect Weld Thayer Chase, working under the supervision of A. Earl Wood (the engineer of roadside development and eventual CTDOT commissioner), the parkway was implemented in four parts from 1934 to 1940. It traverses some 2,600 acres of former rural estates and properties acquired via purchase and eminent domain. 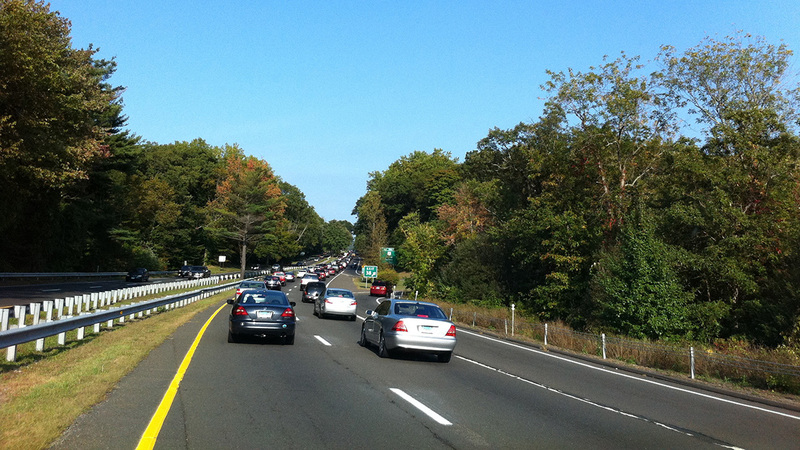 The parkway originally consisted of an east-west, two-lane highway framed by oak guardrails. 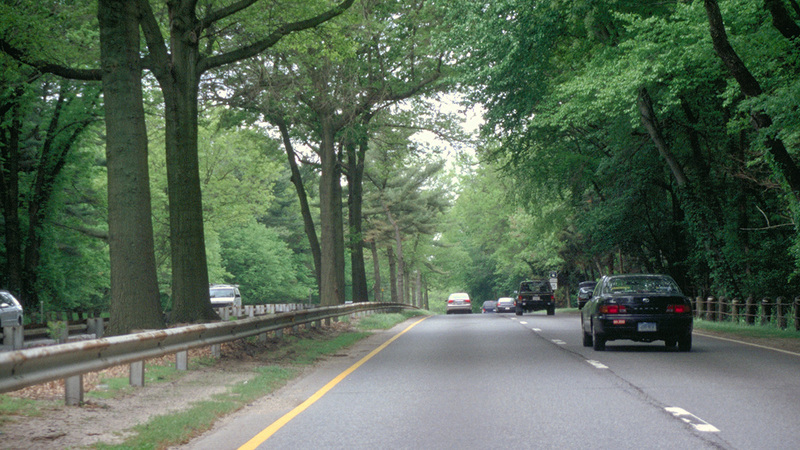 A 21-foot-wide grass median, periodically planted with trees and shrubs, divides the two lanes. Chase took great pains to restore the woodlands scarred by construction, overseeing the planting of more than 60,000 native trees and plant species, including dogwood, mountain laurel, cedar, and birch. Soil and rock disrupted by the project were retained and used by engineers to regrade the parkway’s surrounding landscape. The parkway is defined by a 150-foot-wide right-of-way whose topography includes streams, rock outcroppings, and indigenous plants. 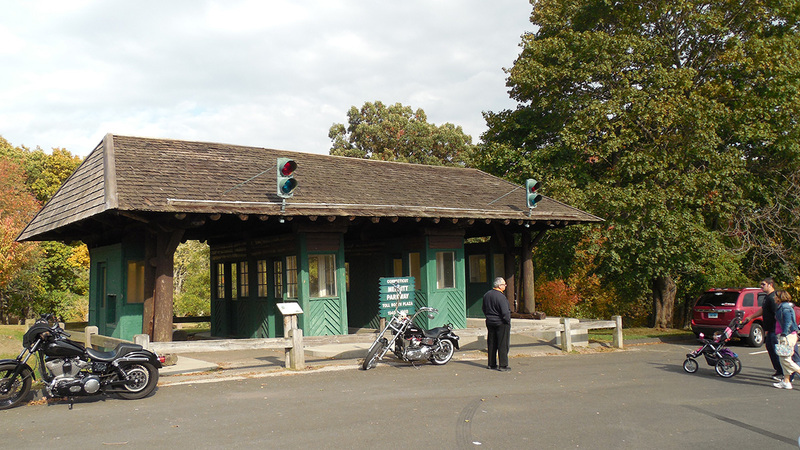 Six Colonial Revival-style service stations built in the 1940s remain in operation along its route. 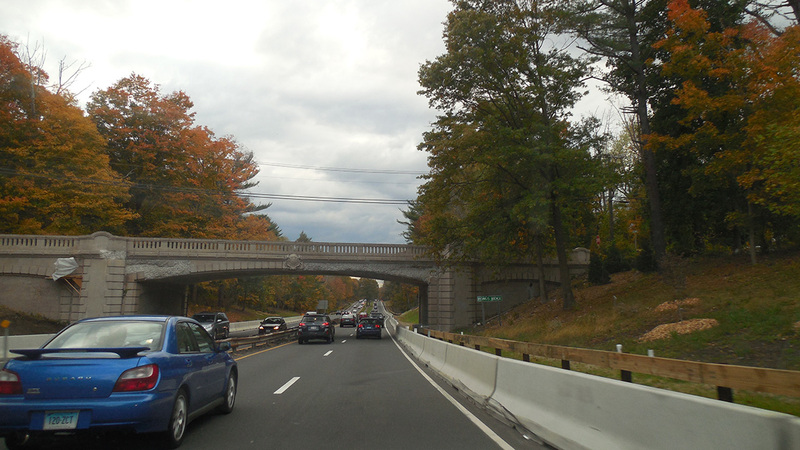 The parkway also featured 69 overpass-bridges (three have been destroyed) designed in a variety of styles (Art Deco, Neoclassical, Modernist, and others) by highway architect George Dunkelberger, each crafted with unique ornamentation, including bas-reliefs, roundels, and sculpted features. Part of Chase’s original design has been altered by the addition of interchanges and entrance (and exit) ramps associated with the intersection of the Route 25 and Route 8 Expressways, and the parkway has since been extended to Hartford, Connecticut. 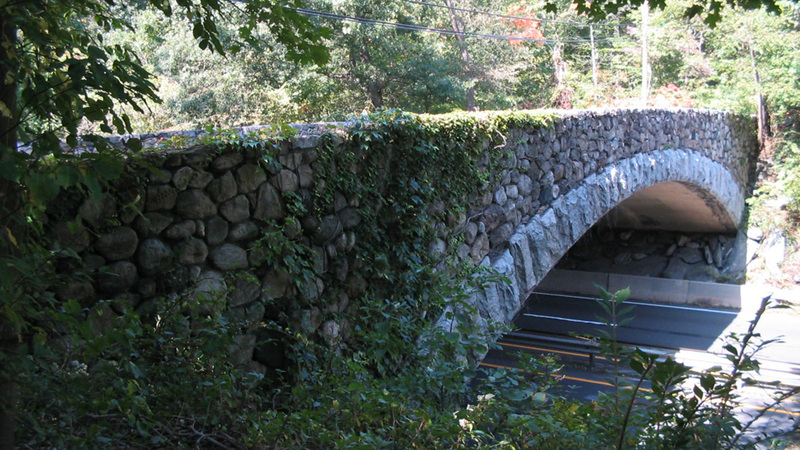 The Merritt Parkway was listed in the National Register of Historic Places in 1991.